Cheap dates are my favorite. It’s so relieving to have a good time and not have to worry about the budget. So I like to have an arsenal of ideas on the back burner to keep us occupied and connected as a couple. One of our favorite cheap dates in the summer time is discovering new ice cream places. 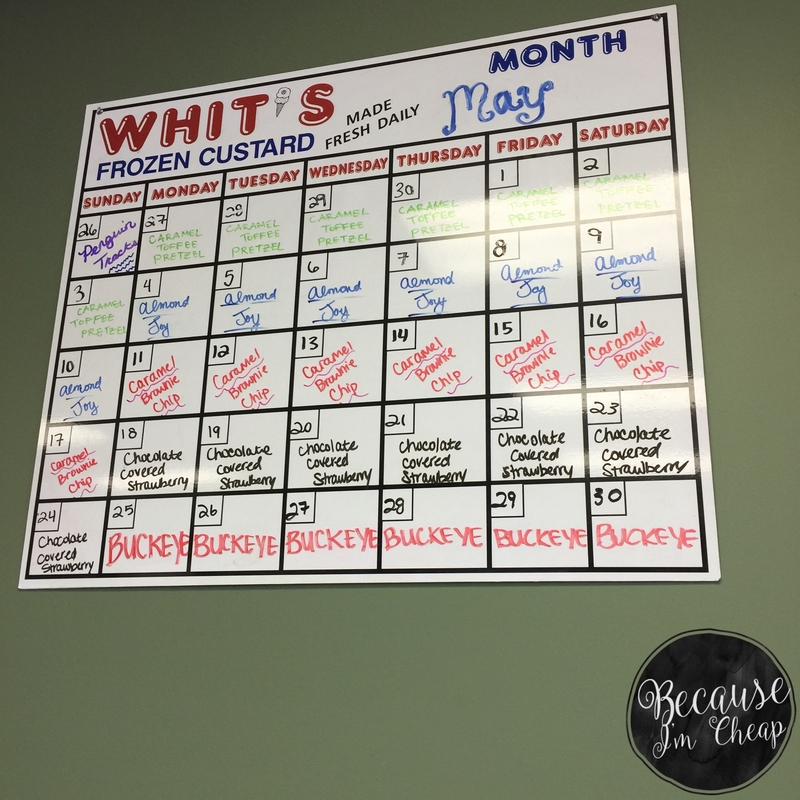 So while visiting my parents in Ohio, we knew it’d be a great idea to hit up a new place, whits Frozen Custard in Lancaster Ohio. So yeah, custard isn’t ice cream and ice cream isn’t custard. But the 8 year old kid in us wasn’t the wiser. No, the 8 year old kid in us loved it. To the very last drop. Custard is smoother and creamier than ice cream. It’s actually a bit warmer too. Still cold, but not brain freeze caliber cold. Just cold enough to savor on a hot day. We pretty much had the place to ourselves. So we grabbed a table and enjoyed our cheap treats. whits has a nice classic look, but they are also pretty fun. They have a special sundae of the week and flavor features as well as just a nice atmosphere. We were very pleased. I opted for a root beer float. While Bryan got a piled high sundae. Both were fantastic! If your local ice cream parlor is in a downtown or shopping area, get it by the scoop or in a milkshake and take a walk together. You might not be able to walk hand in hand until it’s finished, but you can at least feel a little better about the calorie splurge. We like to choose a booth near a window so that we can people watch together while we feast. 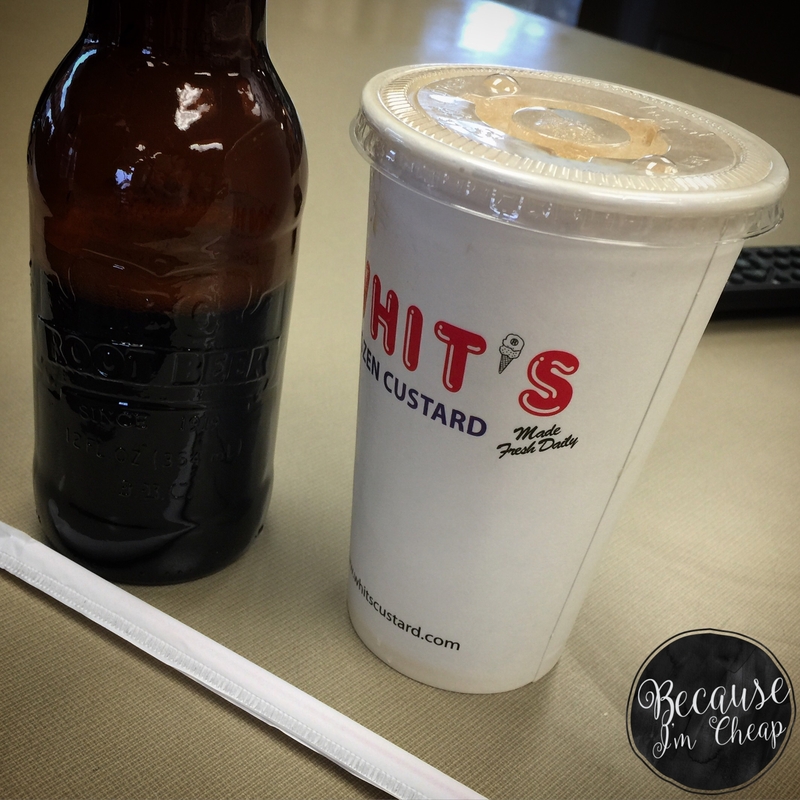 If you are ever in the Lancaster area, make a pit stop at whits Frozen Custard. You won’t be disappointed! Are you a custard fan or a diehard old school ice cream fanatic? Hi, Eliz. It’s pretty good. Creamier and almost yellow. I like it a lot ???? That’s so cool, I live outside of Lancaster and I was even there today! My dad is from that area. I actually live in Pittsburgh. But we are always up for ice cream! You’re so welcome, Lindsey. To be honest, I had to come up with ideas like this out of necessity in the beginning of our marriage. But now a few years later, I’m glad that we both have the ability to be creatively cheap with our moments together. Looks lovely! I always enjoy taking my daughter out for ice cream, although my husband doesn’t eat dairy products he enjoys tagging along, too! Awe. Someday that will be me. I cannot wait to share treats like this with our future children! Anything to do with ice cream and i’m in! Can’t get enough of the stuff! ???? I know right? Especially with this heat! OHHH MAN!!! Nothing’s better than a good old fashioned float! It’s my favorite. So refreshing! Me too. I’m so thankful that my husband lets me be a cheap date. He used to insist on a big fancy dinner once a month. But now we do several dates a month. So much happier. 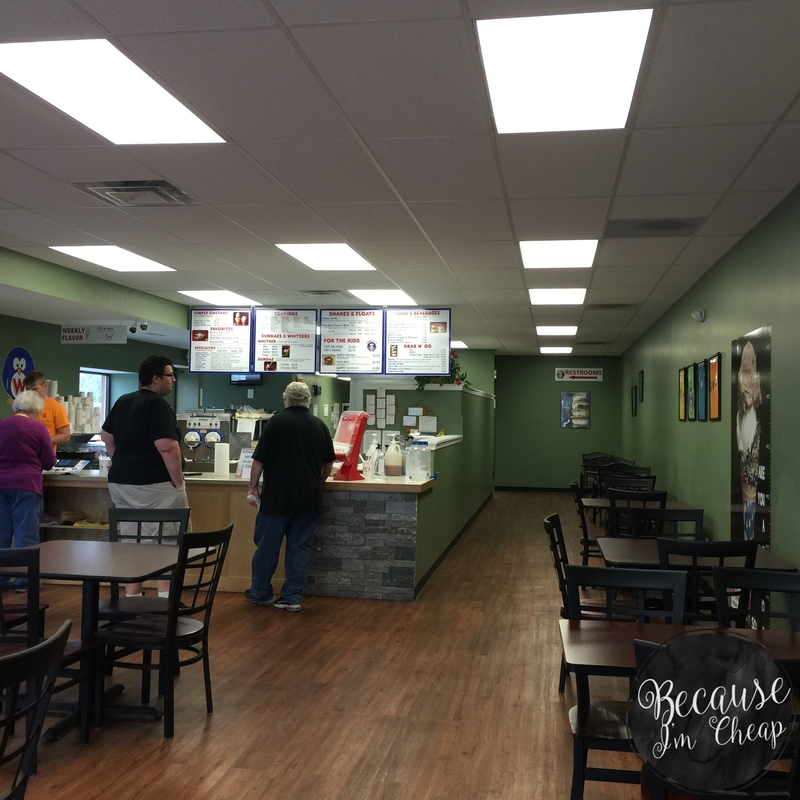 We have a really yummy local ice cream place we like to go to as well! I love local places! We’ve found a few more to try before the summer ends. Yes! We just came back from a camping trip and finding all the local ice cream places was so much fun! And so inexpensive! I love trying signature menu items we find at little mom and pops. It’s how we discovered deep fried Oreos before they were popular. We had a frozen custard place we LOVED when we lived in Lubbock, TX and I still think about it all the time! Yum! And ice cream (or any sweet treat) is a great idea for a frugal date, thanks for sharing. I love me some ice cream and who better to share it with than my boyfriend.